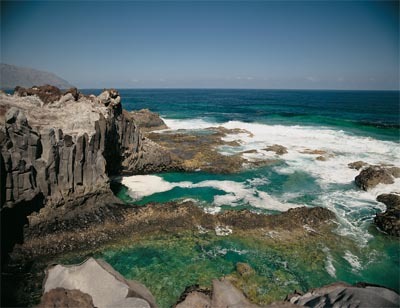 Discover the Charco de los Sargos in La Frontera, El Hierro. Charco de los Sargos is located in the municipality of La Frontera, on the south of El Hierro in the Canary Islands. Between the pools of La Maceta and Charco Azul there’s another wonder from the El Hierro island, the Charco de los Sargos. At this precious puddles you might enjoy a full day of fun on a wild environment with great volcanic beauty. To get to Charco de los Sargos it’s advisable to rent a car in El Hierro and go to the north of La Frontera in the island of El Hierro. Take the north coast road. Charco de Los Sargos is located a few kilometers from La Maceta so once you get there keep going in direction to Pozo de la Salud and follow the signs. Las Puntas, La Frontera, El Hierro.